You can buy the most expensive makeup on the market, but if you don’t have the proper tools to apply that makeup, it’s useless. Makeup brushes are the most important product in your makeup collection. Since there are so many out there I’ve compiled a list of 8 Essential Makeup Brushes that you need to have in your makeup bag right now! This brush is used to dust powder on your face. Using a brush to apply powder vs using a puff will save you a lot of product and you’ll achieve a more natural look. 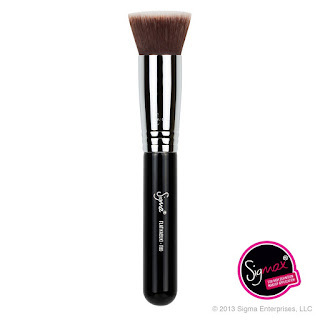 The brush has synthetic bristles, is hand-cut and 100% cruelty-free. I like that it’s a fluffy brush and allows for even distribution of the product on to the face. I really love this RT brush. I would say I’m kind of a super fan. I own all of the RT brushes and use them often. Makeup artists and YouTube stars Samantha and Nicola Chapman, also known as PixiWoo, are behind the successful line ( they’re sisters as well)! The best part is this is such a high quality brush and it only costs $15. 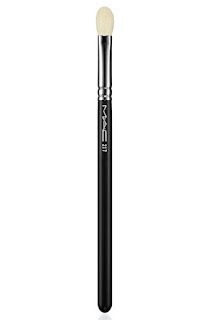 Another brush I recommend and I’m sure a lot of you have seen this brush before is the MAC 134 brush, $63. This brush can be used to apply liquid or cream foundation. 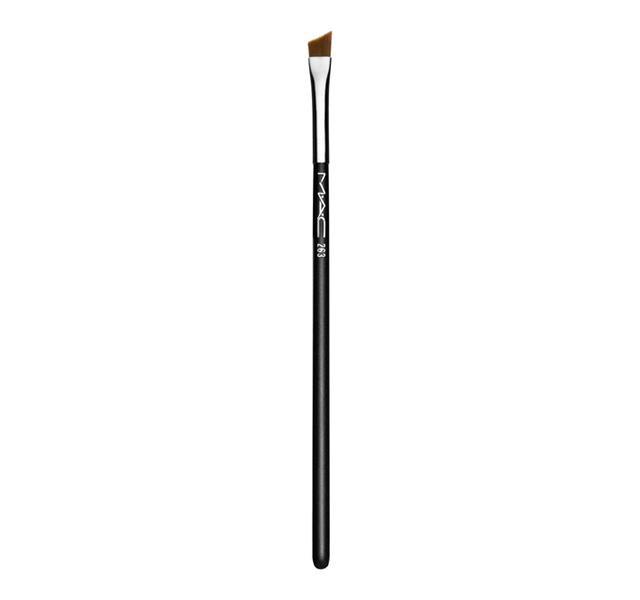 The F80 brush doesn’t absorb product due to it’s soft but dense bristles. I personally like to use this brush to apply cream foundation. I can build the coverage up without any streaking on my face . I prefer to pat the foundation onto my skin first and then in a buffing motion distribute the product all over. This brush allows me to do this effortlessly and leaves me with airbrushed smooth finish, $30 CAD. 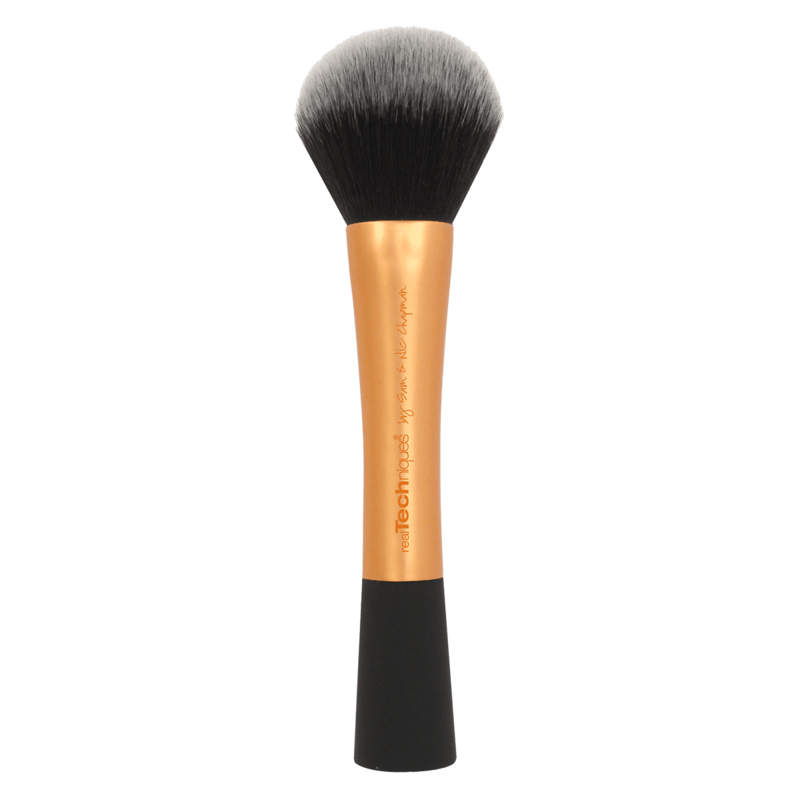 Another foundation brush that I find works really well with liquid or cream foundation is BareMineral Buffing Brush, $35. I use this brush in the morning when I’m in a hurry to get out the door. Because of the large flat fibre bristles I’m able to cover more space quickly but still achieve an even and flawless coat of liquid foundation. Some flat foundation brushes will give you a “streaky” look when you’re working quickly but I haven’t experienced any streaks with this brush. I use MUF large foundation brush mostly with liquid foundation, $41. A budget-friendly foundation brush is the Sigma F60, $26. Another RT brush! This blush brush ( say that 10 times fast! ) is very soft and picks up the perfect amount of blush. 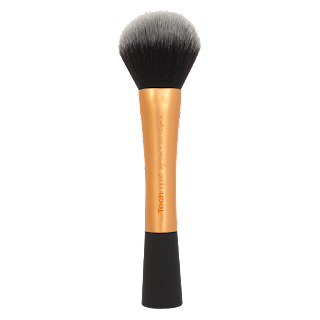 I love the cut of the brush as it sits really nicely on your cheeks and allows for a smooth application with one swipe. I’ve washed this brush a few times and it didn’t shed and dried very quickly. This RT blush brush gets the job done, $11.14. 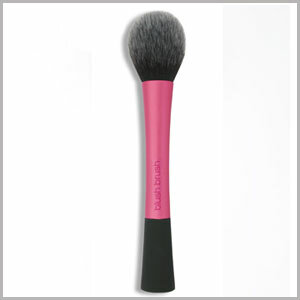 An alternate blush brush that I also enjoy using is the MAC 116 Blush Brush, $42. This is a great versatile brush. It can be used to apply liquid or cream foundation as well as bronzer. The synthetic bristles are soft yet dense enough to give you a smooth and natural glow. I love this brush so much that I’m not quite sure what I was using before the Sephora Pro Bronzer, $45. This is my new favourite concealer brush. My sis-in law introduced me to it ( Hi Foots!!). I have been in love with it since the first use. I use it to colour correct or conceal under eye dark circles or redness. The short synthetic bristles are great for buffing the concealer onto the skin and you can build up the coverage from light to heavy. The only downside to this brush is the long handle. 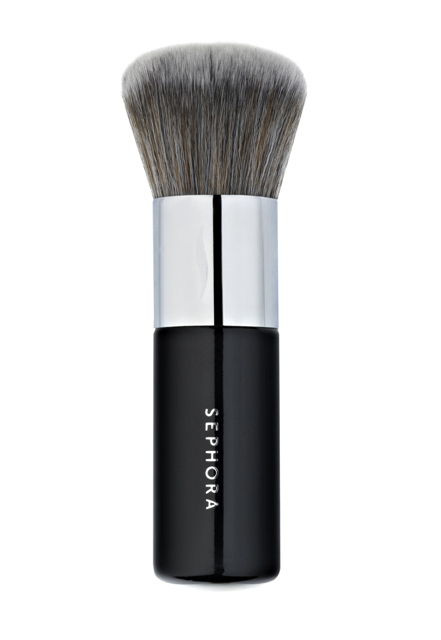 Besides that, I highly recommend the Sephora Pro Airbrush Concealer Brush, $30. Another great concealer brush is the MAC 266 Duo Fibre Tapered Blending Brush, $38.50. This brush is marketed as eyeshadow blending brush but trust me you can use it as a concealer brush as well! This was the very first brush I ever bought! In the past 15 years, I’ve owned 2 of these brushes. Yes , if taken care of properly this brush will last a long time! 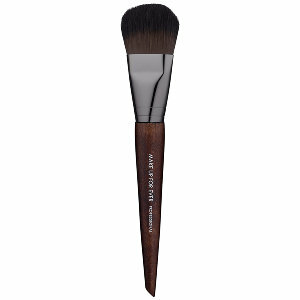 This brush is superb for blending several cream or powder eye shadows together on the crease but can also be used to apply and shade shadows. 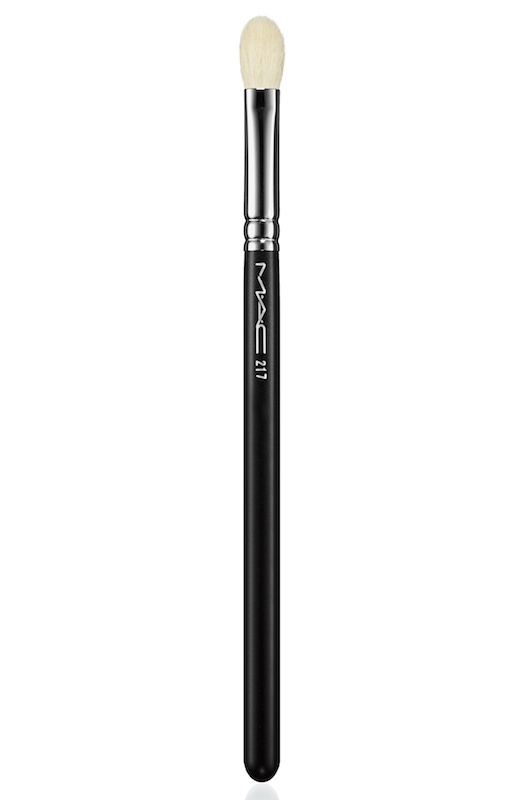 Because of it’s versatility and longevity the MAC 217 brush is worth the investment, $28.50. This is the only brush I’ve ever used for eyeliner. It’s always worked for me so I never needed a reason to look for a comparable brush. I use it with Makeup Forever gel eyeliner. The synthetic fibres are very firm so you’re almost guaranteed a perfect wing every time and the angle on the brush let’s you experiment easily with different wing shapes. To save on costs I also use this brush to fill in my eyebrows. It works beautifully with any eyebrow powder product. For its versatility and ease of use I would recommend picking up the MAC 263 Angle Brush, $20. Leave me a comment below if there is a brush that you have in you collection and cannot live without!